A plucky and ambitious television producer finally achieves her dreams of landing a job at a major network-on the lowest rated morning show in the country. In order to turn the disastrous show around, she finds a way to hire a respectable yet forgotten anchor by way of a contract loophole. Now she must find a way to make the cantankerous newsman get along with his equally high maintenance coanchor, while trying to get him to participate in the fluffy stories which attract viewers and hold absolutely no appeal to him. Morning Glory is a little gem from last year that flew under the radar. It is one of the best kind of films to experience, in that it is a movie I was wholeheartedly not expecting to enjoy, watched it anyway, and found myself having a great time. Foremost is Rachel McAdams who is delightful in the lead and brings so much energy to the role which attracts the viewers and makes you feel her plight. Harrison Ford and Diane Keaton are riotous as the lead anchors, and their scenes together at the news desk, where the two's news proclivities clash are downright hilarious. It is especially nice to see these two actors, especially Ford who hasn't had a good role in awhile, settle into parts that fit like a glove. The film does have a tendency to get as light as some of the stories as the movies morning news show, and their is a superfluous romance between McAdams and another producer (played by the always reliable Patrick Wilson) Still Morning Glory is a wonderful movie that even manages to make a few statements on respectable journalism vs. sensationalism while all the while serves as a surprising treat of a film. As production begins on his latest film, a French director must contend with a hectic shooting schedule to avoid insurance issues, a worried producer, a love stricken prima donna actor, a high profile actress whom he's never met coming off a breakdown on her last set, a washed up drunken actress who can't remember her lines, on site romances, numerous questions from crew members, unforeseen happenings, technical problems, and a cat who can't follow his cues. Day for Night is legendary director Francois Truffaut's love letter to movies (He even stars as the understanding and put upon helmer Ferrand). The film unfolds at a breakneck pace and is wonderfully directed by a man who appears to be at the top of his craft. By using multiple visual techniques to demonstrate the many various facets that go into making a film, and getting a glimpse of what happens behind the camera and when it isn't rolling, we get a glimpse of how what we see on the screen isn't exactly the same as what goes into making it (the title refers to the process of filming a night scene during the daytime and filtering techniques to darken it. It can also be seen to mean how things aren't what they seem on screen). This is a fascinating look at what goes into the crafting of a film and Day for Night rightfully takes its place alongside other great movies about the movie making process such as Singin' in the Rain and Fellini's 8 1/2. GasLand is an Oscar nominated documentary from this past year that serves as an expose (what else?) of domestic natural gas drilling. Director Josh Fox begins his film by telling a story of how a few years back, he was informed that his family's land in rural Pennsylvania was located on a natural gas reserve and a drilling company offered him near $100,000 to drill on the land. After researching it a bit, he found local horror stories of contaminated drinking water, water that lights on fire, and people getting sick. After turning down the offer, Fox set out across the country to hear more similar stories of people who have been affected by drilling (we see a lot of shots of people setting their tap water on fire). We then learn about the drilling process and meet some politicians, environmentalists, and scientists who are seeking to make changes to the process. 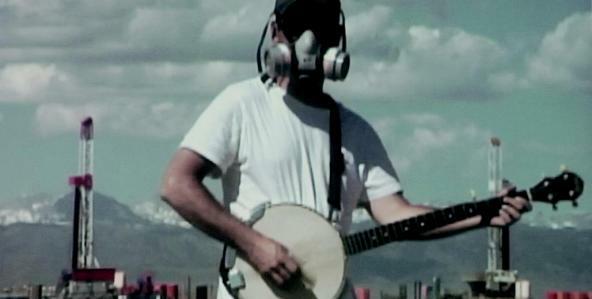 GasLand functions well as a documentary with Fox with his baseball cap and banjo acting as a reserved interviewer and occasionally offering a folksy bluegrass tune, sometimes while wearing a gas mask on a drill site for effect. I also liked his matter of fact narration, which was laid back and direct and not in your face. His film also serves as a nice travelogue with his camera offering some beautiful shots of our country contrasted with the ugly drilling equipment placed on so much of our land. The film tends to become somewhat redundant, which is probably inevitable, and I don't see the point of using laundry lists of chemicals used in drilling which is done several times. However, Fox still does his best to liven things up. I didn't really buy that he was a regular guy who just set out to make a movie. He obviously has some film experience. Still this is a great looking film that addresses an important issue and (yawn) should serve as a wakeup call to how we treat our country and how we get our energy. 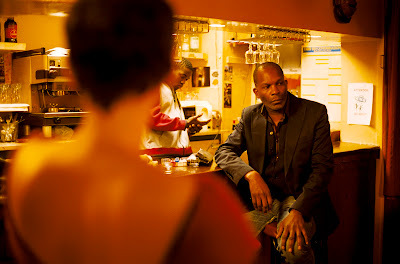 Director Claire Denis's 2008 film 35 Shots of Rum has been compared to an Ozu film and I think that's a good association. Her film is reflective, passive, and observant. It is not marked by action, high drama, or plot developments. It tells the story of a young woman living with her widowed father in an apartment in Paris. Her relationship with a neighbor who is planning a move threatens the tight knit and borderline unhealthy relationship between her and her father. Meanwhile, he seems to be struggling with his impending retirement and is also dealing with a friend who has held strong feelings towards him for a long time. 35 Shots of Rum isn't a difficult movie to sit through. There are some nice visuals and the story passes steadily. Still, I wouldn't recommend it to an impatient viewer, but for someone looking for a poetic, reflective piece of filmmaking to savor, this is just that film. Dinner for Schmucks is over the top and utterly stupid, and I think that is what I liked best about it. It tells the story of a financial executive (Paul Rudd) on the verge of a promotion who is let in on a secret dinner held by his coworkers and boss: each guest must bring the most idiotic guest they can find whereupon the hosts proceed to make fun of them and deign one of them the most idiotic. On his way home from work that day, while about to decide not to attend the cruel affair, he runs into an ideal candidate almost certain to win top prize: an almost impossibly inept IRS worker (Steve Carell) who specializes in recreating famous works of art with dead mice. After the executive extends his dinner invitation, the IRS agent proceeds to destroy his life in a very short amount of time. Dinner for Schmucks has a mean spirited plot that is presented in a good natured way. Directed by Jay Roach (Austin Powers, Meet the Parents) and based on a the French film The Dinner Game (which was written Francis Veber, the same man who wrote La cage aux folles which was the basis for the birdcage), the film actually finds humor in stupidity, which many comedies fail to due. Paul Rudd brings his charm and usual comic sensibilities and Steve Carell provides most of the laughs as the man who makes us wonder how anyone could be so stupid. Zach Galifianakis and The Flight of the Concords' Jemaine Clement are amusing as well in small roles. Dinner for Schmucks isn't comic gold, but it did do one of the most difficult thing to do in show business, and thats provide laughs. So the Film Festival has returned to help us Clevelanders pull through this final resurgence of winter. Today was the first full day of films following Opening Night, as well as my first night back as a volunteer for a second straight year. While I tallied attendees, passed out and collected ballots, and ushered people to their seats, I was refreshed that festival season was upon us again as I overheard many film goers revel in the fine films they had seen. It was like music to my ears, even the occasional gripes about a stinker were good for a laugh. As the shift came to a close, and the final attendee was ushered to his seat at my theater before the lights dimmed, I settled into my seat to watch a midnight horror screening, a perfect end to my wonderful first day. When I was growing up, and even when I was a little older than that, I always had a fear of people or something other than people creeping around the house at night as I lay sleep. Insidious is a film that understands this fear, plays upon it perfectly and for about the first half of its running time is a perfectly capable chiller. That is until it changes gears and decides it wants to be another, more campier movie altogether. The result isn't an entirely compromised film, just not as good a movie as it sets out to be. Directed by James Wan, who found success with the first Saw movie than wisely jumped ship, Insidious contains practically no gore at all and generates its scares in the old-fashioned, boo! sense. 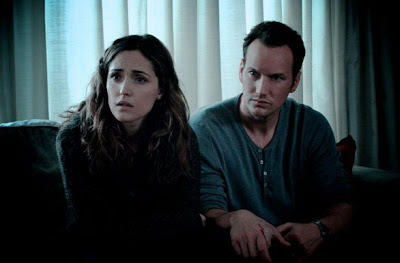 It tells the story of a young couple (Patrick Wilson and Rose Byrne) who have just moved into a new house with their three young children. One day one the boys is playing in the attic, when he falls off a ladder. Later that night he falls mysteriously into a coma, without any trace of brain damage. Three months later, as the boy lies in his bed at home still unconscious, strange things begin to happen and it appears that evil forces may haunt the house. At the wife's request, the family packs up and moves, but it may not be the house that's haunted at all. The main function of a horror movie is to scare people and make them squirm in their seats and occasionally leap out of them. That this movie achieves that end, though by means which may be unfair or contrived or both, is to its credit. I think the casting of solid performers such as Wilson and Byrne as well as Barbara Hershey in a supporting role as Wilson's mother also adds believability to the film. I also noticed that the medium the film was shot in, probably digital, makes the film look amateurish and almost the equivalent of watching a bootleg movie (not that I would know what that would look like). Insidious is an entertaining film good for a few scares, that had the potential to be a lot scarier if it would have decided what kind of a film it wanted to be. Dogtooth tells the story of three grown children who are confined to their parents' Greek manor. With lies spun by their mother and father in order to keep them from leaving the property, the three still operate in an infantile manner. When the father brings home a blindfolded female security guard from the factory he works in, in order to fulfill his son's needs, things start to get even stranger as the "children" begin to rebel. Dogtooth is an absurdly bizarre film that is content with being that and nothing else. For 93 minutes, all we get are strange vignettes that add up to very little, though I did find the scene where the family listens to Sinatra's Fly Me to the Moon and the father says that is their grandfather and offers a personal translation of the lyrics. On the whole however, this movie offers nearly nothing and expects you to wade in its depravity. "No, but you'll dig 'em." These words are spoken to Chan (soon-to-be) Parker by a club manager in reference to a hot new headliner about to play the club by the name of Charlie Parker. 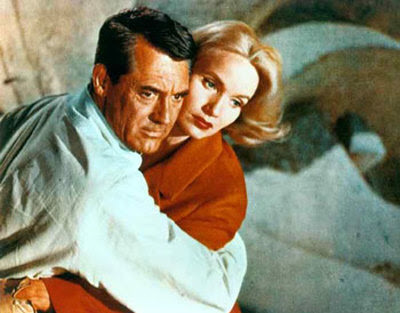 They reflect Chan's feelings towards the man she married as well as his music, and if I may make a stretch, they also reflect the film's sentiments towards Parker, in a film that loves him warts and all. Bird is a loving biopic brought to the screen and directed by Clint Eastwood, a lifelong jazz lover and musician himself, and this can be seen as a postcard to the music he loves so much. Through jumps in time from the past to the present, the film follows Charles "Yardbird" Parker from his struggles growing up in Kansas City to his coming of age, moving to New York and achieving greatness as a jazz saxophonist with a gift for improvisation, during the 40s and 50s. During his triumphs, he also meets his wife, struggles with drug and alcohol addiction, and battles depression and mental illness. By the time of his death in 1955 at the age of 34, the coroner assumed his age to be 65 from the appearance of his worn out face. 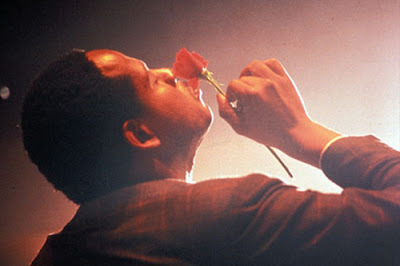 Forest Whitaker gives a virtuoso performance as the jazzman, portraying him as a sad figure who speaks intelligently and doesn't seem to enjoy any of the vices in which he partakes. Diane Venora is spotty as his long suffering wife and seems to have trouble hitting notes sometimes while hitting them so well at other times. Bird is a loving portrait of a great musician that tends to get sidetracked. Replete with great music and complete songs, something rare in pictures, Bird is an ambitious and engrossing, if overlong, biopic. The Adjustment Bureau blends a silly (which doesn't mean not fun) science-fiction plot with a wonderfully realized romance. Matt Damon stars as a charismatic politician currently running a losing campaign for Senator after a damaging photo was run in the New York Post. While preparing his concession speech on election night in restroom, a young woman emerges from a stall and the two become instantly smitten. Three months later, the two chance to meet again and it seems that fate will take its place. However he soon learns from a team of men in suits and bowler hats that his destiny has already been determined, and that she isn't a part of it and never can be. Now he must face seemingly insurmountable odds to secure a future with the woman he loves before the title agency sees that she is removed from his life forever. I actually went along with the sci-fi plot, until about the 3/4 mark when the story becomes overly ludicrous. I also envisioned a different ending and was slightly disappointed with the one presented. Still I was entertained throughout. The dialogue was well written, the New York locations are well used, and the movie is well acted (I particularly liked John Slattery playing an agency member, who looks like he just walked over from Madison Avenue in his Mad Men get-up). Above all though is the chemistry between Matt Damon and Emily Blunt, who sparkle every time they share the screen. Their believable courtship carries the film and is one of the more memorable romances seen recently at the movies. So after catching up on the previous six installments of the series, I was able to make it to an out of town dollar theater to watch the penultimate Harry Potter film, the first I'd seen on the big screen. And when I saw the bespeckled nerds in tight jeans and 40 year old dudes in horizontally striped shirts, I knew I was in the right place. The film opens up with the knew minister of magic (Bill Nighy) giving a rousing speech of how he will not be deterred. His reign will be short lived as Voldemort (Ralph Fiennes is back. 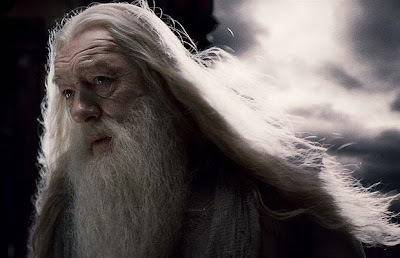 No one plays bad like he does) and his minions, who have now taken over Hogwarts with Snape as Headmaster, see too his demise shortly after administering Dumbledore's last will and testament to Harry, Ron, and Hermione. After the trio barely escapes the clutches of the evil lord, they engage on a journey to complete their mission established at the conclusion of the previous film as well as learn the mystery behind the lethal title objects. A long delayed and much specualted romance also is in bloom. In short, The first half of Harry Potter and the Deathly Hallows is lavishly spectacular entertainment, filled with the most sprawlingly beautiful visuals and stunning special effects in a series known for its sprawlingly beautiful visuals and stunning special effects. I was particularly wowed by an early chase sequence where motorcycles and mounted broomsticks swoosh through the air and streets of London. Another segment in which the three wizards don the appearance of three grown-ups to invade the ministry is equally impressive. Also, a stay in the woods with the three taking it on the lam is filmed with great beauty as well. I was thinking that there is so much to appreciate here visually that a person who hasn't seen the previous films would still probably get much out of it. 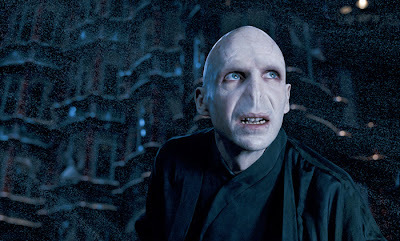 In fact, I'm not sure I even understood what a hallow or a horcrux is. I also did think the film was overstuffed with developments and details which made me wonder what Potter book loyalists have been griping about all this time. Do they really want to sit through seven six hour installments so nothing would be lost in translation to the screen? Harry Potter 6 part 1 is a riveting, wonderfully looking film that could have afforded to leave a bit on the cutting room floor. Jack (Robert De Niro) is a devoutly religious parole officer on the verge of retirement (if you've ever seen a film with a character approaching their pension, you know things will probably not go so smoothly). 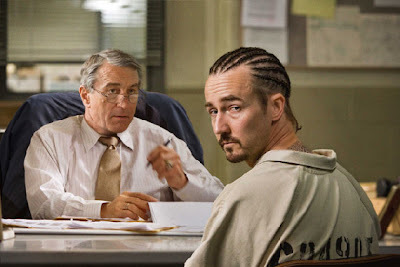 Into his office walks Stone (Edward Norton), a fast talking, corn-rowed con man, guilty of arson, who has a penchant for philosophy and has recently discovered the practice of Zukangor, a religion where a person seeks "illumination". The two men will engage in a psychological battle, with Stone's freedom on the line. Thrown into the mix is Stone's sultry wife (Milla Jovovich), and during this duel Jack will begin to question his own faith as well as his marriage to his long suffering wife (Frances Conroy). Stone, directed by Edward Curran, is almost operatic in its presentation, with religious undertones bursting at the seems. The greatest strength of this film, are the scenes in Jack's office, where we get to watch two of the finest actors of their generation go head-to-head. These scenes build genuine tension and make this a riveting if weighty picture. It's been 16 years since Matthew McConaughey has been in the courtroom, during which time he's spent underachieving in lackluster romantic comedies. Now he returns with a legal thriller which demonstrates that he still has some acting ability left in him. Here he stars as a hotshot L.A. defense attorney, known for getting scumbags off the hook while operating out of his Lincoln Continental. One day, some business is thrown his way in the form of rich young kid accused of battery and what looks like an easy buck is soon turned into and engrossing case with moral complexities that jeopardizes his and those around him's safety. (spoilers ahead) The Lincoln Lawyer has one of those silly legal plots that are only found in paperbacks and the Hollywood adaptations that follow. Here, we have a unique scenario where the defendant orchestrates his release by convincing his attorney of his innocence, when really he is guilty not only of this crime but of an earlier one where that defendant was sent up the river while defended by the same attorney. Now when the defendant gets wind that the attorney is on to him, the two become enemies playing a deadly game of cat and mouse. This situation sets up for many instances where sustained thought would unravel the whole film. However, the film is well handled and the movie stays relatively intact. The film is also a prime example of how far good writing and solid acting can carry a film (directorial, its amateur hour). With the exception of Ryan Phillippe, who still hasn't grown as an actor and is not believable as the villainous defendant, we get fine work from all around particularly McConaughey in the lead, Josh Lucas as the prosecutor, Marisa Tomei as another attorney and McConaughey's ex, and William H. Macy as his investigator. 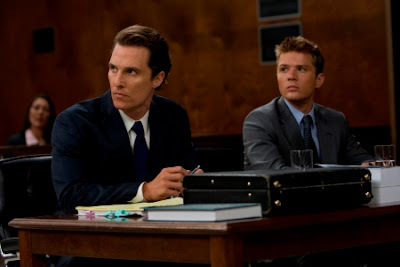 The Lincoln Lawyer is popcorn with a plot that probably wouldn't hold water, and goes on for too long, with a few to many endings when the first one would have sufficed and the subsequent ones seem overblown. Still it is entertaining and for a movie of this kind, its dialogue is surprisingly sharp and the acting is strong. After Wyatt Earp settled his affairs in Tombstone, Arizona he set out for Hollywood where he would spend the rest of his life. In some regards, he has never left as numerous films have been made about his and Doc Holliday's encounter with the Clantons at the O.K. Corral. 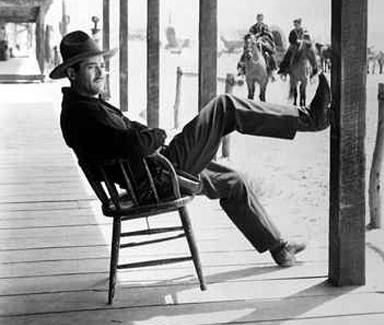 Yet before Lancaster & Douglas, Garner & Robards, Russell & Kilmer, and Costner & Quaid stepped into their boots, they were most memorably inhabited by Henry Ford and Victor Mature in John Ford's masterpiece My Darling Clementine. While herding cattle west to California, the Earp brothers stop outside of Tombstone for the night. While Wyatt, Virgil, and Morgan go into town for a night of gambling and carousing, they leave their kid brother James to guard the herd, only to find him shot in the back and and left face down in a rain puddle when they return, murdered by the evil Clanton family led by their nasty father (the wonderful character actor Walter Brennan). To exact revenge, Wyatt takes a job as town Marshall, appointing his remaining brothers as deputies. But this isn't a cold blooded revenge tale. It is actually a warm film bristling with humor and romance, and of course hard drinkin' tough talkin' men, and this is what makes the film so appealing. While awaiting the day for vengeance, Earp fines the time to romance the sweet school teacher Clementine Carter, the old flame of the surgeon/gambler/bank robber/tuberculoses infected Doc Holliday who has a penchant for Shakespeare, whom Earp makes an ally. Victor Mature brings a sadness to Holliday in a great performance as the reckless and brilliant gunslinger. Henry Ford, maybe the most affable of all leading men, creates a human Earp, tough as nails but with a tender side. Here, John Ford, who made so many great westerns in so many different ways, finds the right notes to tell his story, ones that aren't seen often in the genre. The result is a telling of the Wyatt Earp story that none have been able to match, and a western that few have been able to approach. While sitting in a video store late one night, while reciting the lines to the end of The Big Sleep, a stray bullet from a drive-by shooting comes whizzing by and hits the clerk square in the forehead. After his miraculous recovery, he finds himself out of a job and thrust out onto the streets of Paris, where he struggles to make it day by day. Then one day he luckily comes into the shelter of a circus-like troupe of misfits, each with a particular and peculiar talent. Inhabiting a junyard, the group makes intricate gadgets, and when the young man discovers the locations of two rival weapons manufacturers, one responsible for the bullet lodged in his brain and the other responsible for the land mine that killed his father in the western Sahara Desert, the stage is now set for revenge. 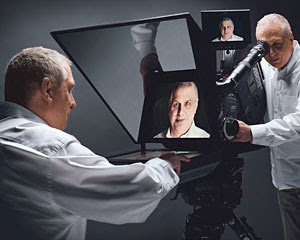 Micmacs is writer/director Jean-Pierre Jeunet's attempt to recreate the massive success he scored with Amelie, and for the most part I felt he succeeded. With another cleverly directed film capturing Paris in stark colors, I appreciated the comic timing of the film which somewhat reminded me of a roadrunner cartoon. I felt the script left something to be desired and was irritated with some of the caricatures, but I caught myself laughing out loud on several occasions, and found the film to be engaging throughout and creative, something that is largely lacking in the modern cinema. Tonight at the Cleveland Cinemateque, Turner Classic Movies presented Robert Osbourne and Eva Marie Saint as they participated in a question and answer session before screening North by Northwest. It proved to be a truly wonderful evening indeed. Osbourne proved to be as fine of a host as he is when introducing classic films on television and by the time Mrs. Saint took the stage still carrying herself with a movie star swagger, the crowd roared and from the second last row she still appeared to look the same as that beautiful young woman who seduces Cary Grant aboard the Chicago bound train. During her address to the crowd and the Q&A session, she appeared vibrant, witty, funny, and altogether lovely. A perfect introduction to a magnificent from a classic actress. Four Days in October documents the Boston Red Sox comeback from three games down against the New York Yankees in the ALCS en route to their first World Series in 86 years. Its hard to get behind this film when their city has had so much success with their basketball, football, and hockey teams. To make matters worse, this film celebrates a long haired, dirty squad of cheaters (David Ortiz and Manny Ramirez subsequently tested positive for illegal performance enhancers). Through footage from the games and interviews with whiny quasi celebrity Sox fans, braggart players, and footage of obnoxious fans, this documentary made me nauseous. Boston fans should move to Cleveland so they can experience what real sports pain is like. When the Dodgers were planning their move to Los Angeles, they acquired a plot of mostly barren land near the city called Cruz Ravine and evicted the mostly Mexican residents living there. A few decades later as the Mexican community was struggling to put themselves on the national map, a husky rookie pitcher from nowhere burst on the scene. 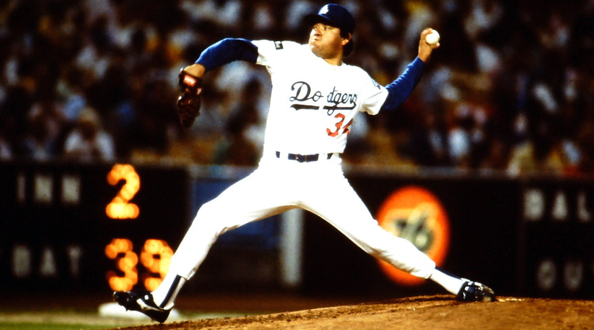 Fernando Valenzuela, a poor kid from a small village in Mexico, captivated not only L.A. but the entire baseball world as he went on to dominate the game and set records. Through interviews with fellow managers, scouts, and players as well as Fernando himself, we get a nicely told rags to riches story about a young man who helped unite an entire community. 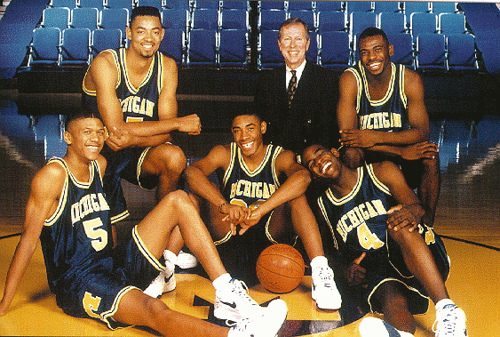 For the 1992 NCAA basketball season, The University of Michigan recruited five freshman to play for their team. Four were ranked 12th or higher on the list of top ranked prospects, all five were in the top 50, and one of them was the top pick. By the middle of that season, Chris Webber, Jalen Rose, Juwan Howard, Jimmy King, and Ray Jackson were all starting and wowing fans with their impressive play and stirring controversy through their on the court brashness and off the court antics. The team, whom many called underperformers, would go on to lose two NCAA titles, and cause the university to receive sanctions for receiving booster money. Through interviews with the five with the exception of Webber who declined to participate and coaches we get a sense of what it was like to be a part of this phenomenon that helped change the game of basketball to what it is now, for better or worse. Intercut with game footage and personal footage of the time, the film is nicely arranged by director Jason Hehir. The members of the team do come off as entitled and selfish, and their attempt to portray themselves as victims is laughable. A young, pudgy, and lonely Parisian boy receives a bike one day and from that moment on, with the help of his grandmother and his fat dog Bruno, sets out to become a cycling champion. As the boy grows into a man, and his thighs and calves reach the size of watermelons, he fulfills his dream by entering in the Tour De France only to have it thwarted by French mobsters who kidnap him to carry out their sinister plans. Now it is up to Grandma and Bruno, with the aid of three singing elderly sisters, to find him before it is too late. The Triplets of Belleville, by Sylvain Chomet and his studio, the same group who recently released The Illusionist, is a wildly imaginative animated film. 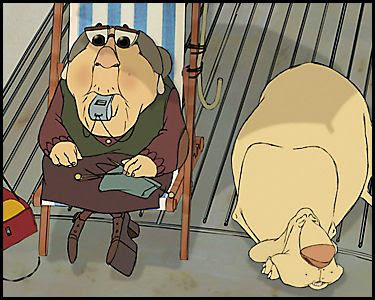 It may also be the first animated film where I was constantly aware of the excellent direction. The film is quirky to the extreme and meanders quite a bit, but much of this is to its credit and is part of the film's charm. 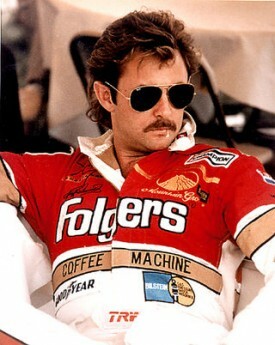 NASCAR driver Tim Richmond was a charismatic, hard living man who liked to live it up. When he came on the scene in the late 1980s, he was one considered the first cosmopolitan driver the sport had ever scene. Naturally gifted at the sport, he was extremely aggressive and many predicted him to go on to be one of the greatest racers of all time. Then, he contracted the HIV virus, strove to fight through it while dealing with it privately and finally succumbed to AIDS, in an era when there was much ignorance still about the illness. To the Limit is an honest portrait of a man and the times he lived in. Through interviews with his sister, coworkers, and friends back home in Ashland, Ohio, we hear a loving tale of a complicated person. Into the Wind is the inspirational story of Terry Fox, a young man whose leg was amputated due to bone cancer. In order to raise awareness of the disease, he strove to run across Canada at a pace of about 26 miles daily. A marathon a day. Fox's journey inspired the nation and raised millions for charity, but it also came at a personal toll to his health and general well-being before he had to cut his trek short. After running over 3,000 miles, cancerous tumors had ravaged his body and Fox tragically fell victim the the disease. Directed by basketball star and fellow Canuck Steve Nash, Into the Wind is a beautiful retelling of a truly moving story, and moving is a word I do not use lightly. This is material that could have easily been turned into Olympic style sentimentalized mush, but instead through much stock footage of his run and heartfelt interviews with family, friends, and fans, this is a wonderful telling of an incredible journey. 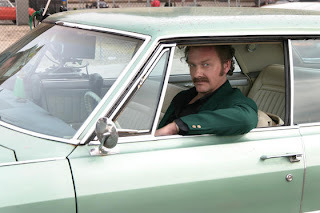 As someone who went to the same grade school as Danny Greene and grew up hearing stories about the brazen Irish gangster, Kill the Irishman is a treat leaving much to appreciate with its Cleveland references. Other than that there is not much to appreciate. Back in the 1970s, Cleveland was known as bomb city as numerous bombs were detonated and many mobsters were wiped out. At the center of the war was Danny Greene, a tough from the Collinwood neighborhood who came from nothing, worked his way up in a union, went to prison for racketeering, and made a name for himself with the mafia. After refusing to pay back a loan and further refusing to cut the local mob boss in on a piece of his action, Greene became a target, whence he was able to dodge hit after hit, seemingly due to the luck of the Irish. Nothing about Kill the Irishmen seems particularly fresh, and much seems borrowed from Goodfellas (as do many subsequent mob flicks). The dialogue is corny and the film is not particularly well written. Lines even approach the "so bad they are unintentionally funny" arena. Ray Stevenson, though his character grows on you, does a poor job acting as Greene. Some supporting players do nice work such as Vincent D'onofrio as Greene's mobbed up friend and Val Kilmer as a detective and friend. Christopher Walken seems out of place and not credible as a Jewish gangster. Despite this review, I still think the film is fun for Clevelanders. All others beware. Just home from World War II and in need of a job, Easy Rawlins is in need of some cash to pay the mortgage on his home. So when his friend introduces him to a small time hood in need of a favor, Easy jumps at the opportunity. His task is to find the missing girlfriend of a mayoral candidate, and since this is an entry in the noir drama, this won't be as easy as it sounds. Devil in a Blue Dress captures the essence of the ever emulated genre, from its tone to its setting and locations which makes it all the more baffling why the movie isn't as compelling as it should be. The movie is well written and nicely told in parts and poorly written and unfocused in others. The movie is also borrows heavily from Chinatown, in terms of the plot, Los Angeles locations, and a familial revelation. The acting is fine. 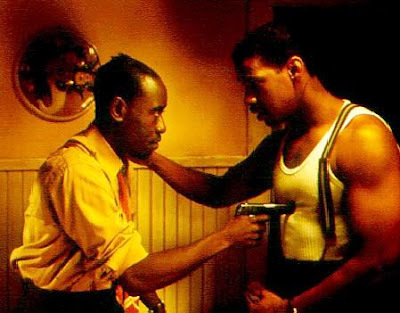 Denzel Washington shines in the lead and actually does a bit more acting here then usual and Don Cheadle is explosive as Washington's murderous childhood friend. The movie also wants to make great statements about race and segregation during the era which works when done subtlely, but mars the movie when the message is screamed. The ending also rings false, and for a film that seems so in tuned with film noir, its denouement goes against everything these type of movies should be. 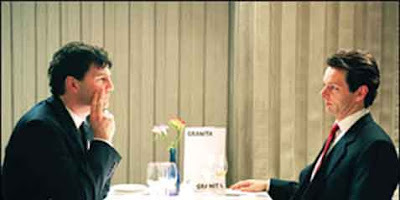 In 2003 The Deal was released on British television and was the first in what would become the Tony Blair trilogy (The Queen and The Special Relationship would follow) featuring screenwriter Peter Morgan and actor Michael Sheen. The movie follows future prime ministers Gordon Brown (David Morrissey) and Tony Blair (Sheen) as they pair up as political allies in 1983, Brown as a recently elected member of Parliament for the struggling Labour Party and Blair as his fresh faced and adroit lawyer and assistant. Together they make radical changes for the country and strengthen the party, but as Blair's popularity grows and an unfortunate passing leaves an opening at the top of the party, the two must come to the title arrangement. This is another fine piece of cinema with another adept and witty script from Morgan and crafted finely by Stephen Frears who worked with Morgan and Sheen in The Queen as well. Morrissey is intense as the moody and impassioned Brown and Sheen, who has made a career out of playing Morgan's leads, is delightful once again as the affable Blair. The movie was geared towards British audiences and recent historical people and events will probably be unfamiliar to American viewers. However, I felt that although my lack of familiarity may have hurt my understanding in some regards, it helps to make for good drama. As the ultimate showdown between good and evil rapidly draws near, romance is in the air at Hogwarts as the students engage in concocting love potions?! The sixth film adaptation of the penultimate Harry Potter novel does take a lighter tone in parts and it surprisingly makes a nice counterbalance to the dark turn that the series has recently taken. As Harry prepares to return to school, Professor Dumbledore asks for his help in recruiting an old retired professor (the inimitable Jim Broadbent, another great addition to the cast). Little does Harry know the old sage has ulterior motives in bringing the teacher back and involving Harry. Meanwhile, Harry and his friends are experiencing first love while the detestable Draco Malfoy seems to be acting suspicious. Also, Harry finds a mysterious book belonging to an equally baffling owner. Soon Harry and Dumbledore are teaming up to prepare for the arrival of the evil lord Voldemort. 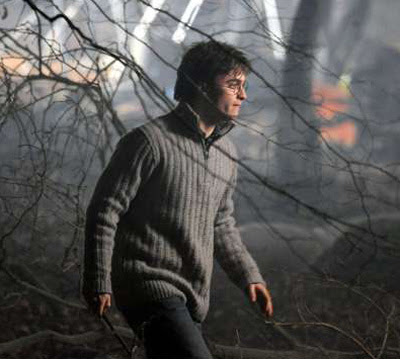 David Yates returns as director and considerably steps his game up from the previous film, crafting an exciting entry. Here he returns to the magnificent exteriors that defined the earlier films and blends that with seamless special effects (the quidditch match is remarkable), resulting in what is so far the best entry of the series. Sidenote (spoilers): I thought the revelatory ending was great, but Snape has been evil all along? Who didn't see that coming? How could anyone cast Alan Rickman in a movie and expect him not to be bad? Forty years ago, Paul Simon and Art Garfunkel were on top of the musical world, touring the country after four of their five albums had topped the charts. They were about to collaborate on a record to top them all, one that would surpass all their previous albums and which would lead to speculation over song meanings, methods, and reasons for the duos separations following this album. 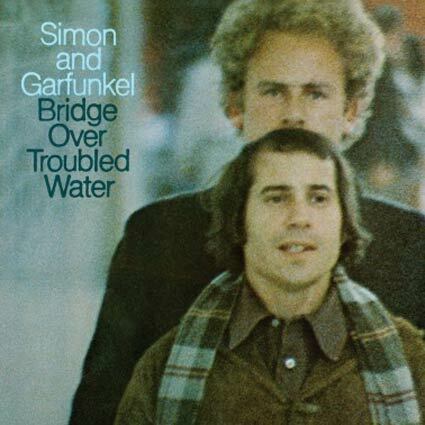 In this retrospective, Simon and Garfunkel guide us through what led to the making of this album, and how tracks on the record came about all of which is played over footage of the duo from the time. We also learn little tidbits which are of extreme interests. How the chorus of Li-li-li for "The Boxer" was recorded in a cathedral. How "The Only Living Boy in New York" was about Art travelling to Mexico to film Catch-22. How "El Condor Pasa" was sang over a musician playing an armadillo with strings on it. How "Cecilia" was created during a jam session with the duo's friends banging on the table top. I also loved how one of the song assemblers payed so little attention to his work that he returned the music with the label "Like a Pitcher of Water." There are other things of interest as well, such as how Charles Grodin produced a Simon and Garfunkel Television special that lost advertising and flopped due to the political nature of the footage they included. Fellow collaborating musicians, especially producer Roy Hallee, provide insight into how the album got made. And finally we have Paul and Art, intelligently and gracefully speaking of their craft, the times, the album, and their friendship which is a delight to anyone who has ever enjoyed their music. Yes The Harmony Game is a treat for Simon and Garfunkel fans but it is also a documentary for anyone who is interested in the musical process as well. A woman waits near the side of the road somewhere in Africa (we never find out which country). A packed bus stops to give her a lift, and as she hangs off the rear ladder we notice the muscle definition in her arms and realize we are dealing with a tough cookie. She returns home to her coffee plantation where she deals with rebel forces threatening the property and intimidating her workers, her ex-husband trying to sell the land, and her layabout son becoming something even worse. She then goes on to make matters worse by sheltering a rebel hero whom the government is looking for. White Material is a perplexing movie. I liked the way its disjointed and clear story came together although I felt that a story of this nature should have been told with a little more urgency. Either way, it is still a starkly and beautifully drawn film, wonderfully directed by French director Clare Denis (35 Shots of Rum) and given further weight by Isabelle Hupert's (The Piano Teacher) sturdy performance. A lonely chameleon with a flair for the theatrical is thrown from his owner's vehicle and left all alone in the middle of the Mojave Desert. After barely surviving an encounter with a hawk and not to mention the deadly heat, the little fella eventually stumbles upon a miniature town resembling the old west. There he meets various rodents, amphibians, reptiles, and birds all bearing the proper and respective role of townspeople. It turns out that there is a major water shortage, and the townspeople are in desperate need of someone to look up to and guide them through the crises. The chameleon is just the man for the job. Inventive is just one of the many affirmative words that springs to mind when thinking of how to describe Rango. It is an animated movie for everyone, and furthermore it is a movie for people who love movies. With nods to 2001, Star Wars, Apocalypse Now, Chinatown, and The Good, The Bad, and The Ugly. it reveres these classics while showing it can put on a pretty good show itself. The animation and direction are unique, wonderful, and inspired (even the vastness of the desert is magnificent. Just how do the animators capture that?). 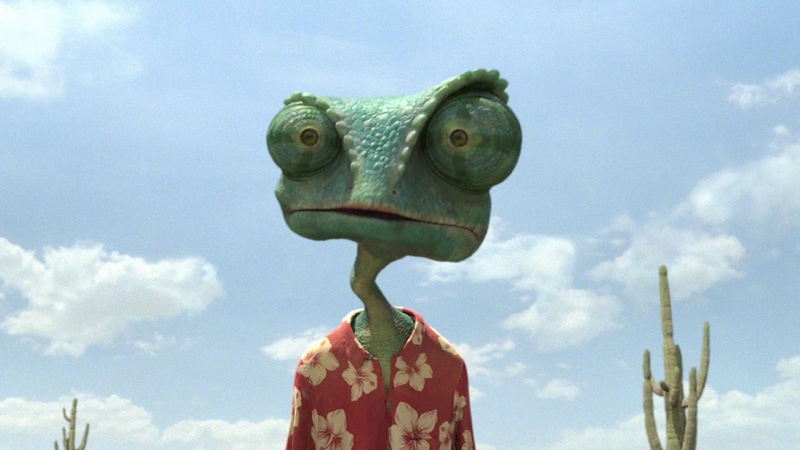 The voicework is terrific with Johnny Depp doing fabulous work as Rango, and others including but not limited to Alfred Molina, Ned Beatty, and Bill Nighy as the slithery Rattlesnake Jake. The film is wonderfully written, and I couldn't believe how many times I caught myself laughing out loud (at an animated film, really?). The movie is a send-up of Westerns, but still holds reverence for the genre by containing accurate details such as speak, dress, and look. Here is a film that makes us appreciate the movies and realize how good of a medium film can actually be. When a movie has a witty, literate script and is populated by smart characters it is a rarity. When this movie is a romantic comedy it is something like a miracle. 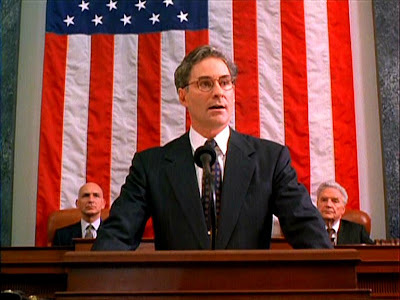 The American President, written by recent Oscar winner Aaron Sorkin of Social Network and West Wing fame, is a movie that fits this bill and watching it is like a breath of fresh air. 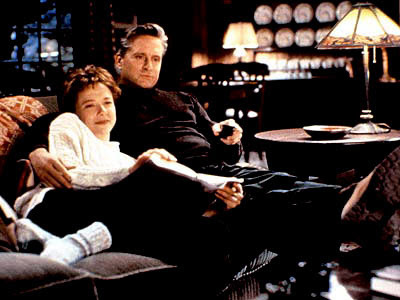 It stars Michael Douglas in a commanding performance as the recently widowed president who takes up with an environmental lobbyist (Annette Bening) something which his staffers frown upon in an election year. Directed by Rob Reiner, this film never ceases to be charming and funny. 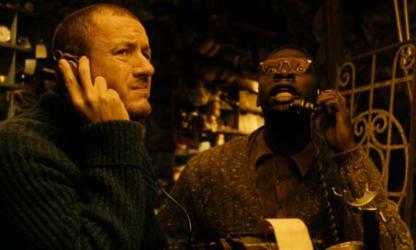 It's the kind of film with clever, rapid fire dialogue that I wanted to watch again to see what I may have missed. The film lies entirely on one side politically, but it is a well acted and terrifically smart and historically aware movie. It begins with the premise that the White House employs lookalikes to help the president with his hectic schedule. We then meet Dave, an earnest goofy Mr. Smith type who works in a temp agency, likes musicals, specializes in impersonations, and just so happens to be a dead ringer for the commander in chief. Soon he is filling in as his double when the less than scrupulous leader has a debilitating stroke and Dave is forced to fill his considerable shoes. Although the President's advisers have their own plans, Dave has plans of his own. Directed by Ivan Reitman, Dave is fun, sweet, and corny in a Capra-like way. It's Washington locations feel authentic, and the film does a good job at making you forget plot holes, but I found Dave to be a little to preachy. The acting isn't bad it's just misguided: Kevin Kline is too good and not conflicted enough in the lead, Sigourney Weaver is too icy as the First Lady, and Frank Langella is too evil as a top advisor. These one dimensional characters may be what you want for this type of film but I found it to hurt it. It's not to say that it's a bad film, in fact it's very good in parts and I especially liked the ending. It just had one too many sentimental moments and speeches as well as uninteresting characters. 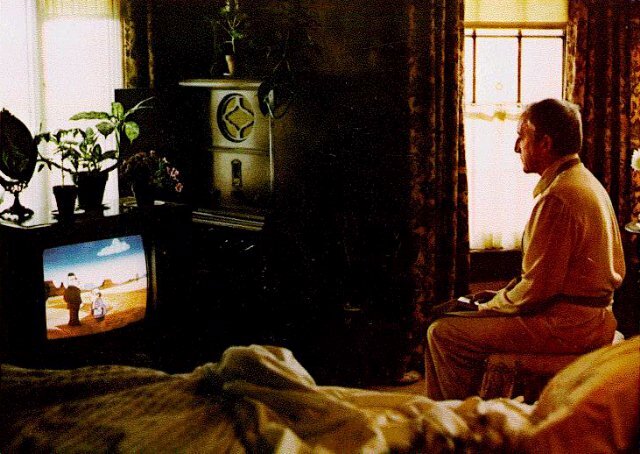 Chance is a simpleminded man who spends his days tending to his garden and watching television. When the old man who has provided him shelter dies, Chance is forced out into the world for the first time where he goes, TV remote in hand. While strolling along aimlessly, bound for certain doom he accidentally falls in with the wife of an industrialist who welcomes him into their house. There Chance manages to impress many of the higher-ups, including the President of The United States, with his childlike manner, which is mistaken for wisdom and classiness among other things. Being There, directed by the great director Hal Ashby and scripted by Jerzy Kosinski from his own novel, is a wicked satire, taking jabs at the upper class, television, and the Washington political machine. It stars Peter Sellers, the chameleonlike comedic genius, in a sublime and dialed down performance and Melvyn Douglas is wonderful in an Academy Award winning role as the tycoon who takes a liking to Sellers character. It is also worth mentioning the ending of the film which is unique, challenging, and cause to stir debate. During the Great Depression, three convicted bank robbers, one significantly younger than the other two, make an escape during their fishing trip furlough and take it on the lam. They then proceed to go on a string of bank robberies, something they seem to be proud of. The men seem to be amiable types, who like to joke and laugh, but the elder two's true nature begins to shine through when some of the robberies turn violent. 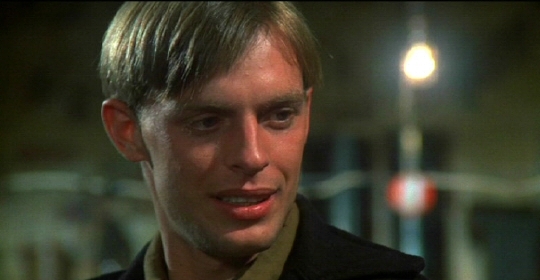 Meanwhile, the youngest and genuine criminal (Keith Carradine) meets a young woman (Shelley Duvall) and you know the outlook isn't sunny for the two as a dramatization of Romeo and Juliet plays on the radio as they make love. Directed by Robert Altman, you may think he is doing his take on Bonnie and Clyde. However, you can quickly tell that his approach is highly original and the master's sure hand is evidently at work, even in this early outing. In addition to having a great directorial eye and his camera beautifully capturing the southern countryside, Altman isn't afraid to focus on characterization even if it is at the expense of the plot, and the result is a truly unique entry in the genre. As Spring Training is in full swing and Opening Day is less than a month away, I thought I'd watch Ken Burns's The Tenth Inning to try and feed my baseball fever. 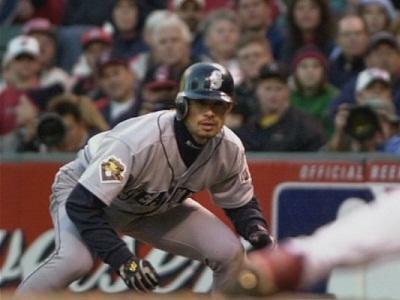 The Tenth Inning is a follow-up to Burns's masterful documentary Baseball, which followed the great game from its origins in the 1860s up until that program was aired in 1994. In the years since that documentary aired much has happened in the Baseball arena, and it is again wonderfully captured here by Burns. What makes this entry unique for me is that I have a memory of all the topics discussed in the four hour program, and being a native Clevelander and Tribe fan, most of those memories are not good. When presenting his documentary, Burns is above all else a storyteller, and again he tries to weave the last twenty years of baseball history as a good story. By taking negative storylines from recent times, such as steroids or the strike, he tries to balance it with positive things that were able to surpass the negatives, such as Cal Ripken's consecutive game streak, the Red Sox miraculous 2004 playoff run (if you can call that positive), the pure and incredible play of Japanese import Ichiro, and spiking fan attendance. While addressing these and other recent happenings in the game, while following the same format of his original installment, Ken Burns has again crafted a masterwork which captures the beauty of the game and presented as a first class work of art. The fifth film in the J.K. Rowling series picks up with Harry being put on trial for using magic in front of a civilian. After his acquittal, the head of the ministry begins to fear that Dumbledore is after his position, so he appoints the fascistic Professor Umbridge as the Defenses Against the Dark Arts Teacher. With Umbridge taking control of Hogwarts and Harry seeing visions of Voldemort, whose presence is growing ever so tangible, Potter begins to form an army to combat these elements. I found this entry to be somewhat off. At two hours and twenty minutes, the film still felt cluttered and rushed. I was also disappointed with the special effects, which are usually excellent in these films. Instead of focusing on the countrysides and landscapes we get standard CGI and I suspect that these films were hurt by the fact that they were released in a 3D format. With this film, directing duties again changed hands and here the job goes to David Yates, the only director of the series with no resume to speak of, who will retain this position for the remaining three films of the series. I just hope that those are not handled as haphazardly as this one. That is not to say that there is nothing to appreciate here. Some of the great cinematography is retained and I liked some of the frenetic camera work. The great actors from the previous films returned (it is nice to see Gary Oldman finally have such lengthy screen time) and new addition Imelda Staunton makes a truly detestable villain. The final showdown between Dumbledore and Voldemort is a battle to behold as well. When promoting comedies, a regular complaint is that the actual film is not as funny as the previews. With Cedar Rapids, we have a rare instance where the film is funnier than its previews. 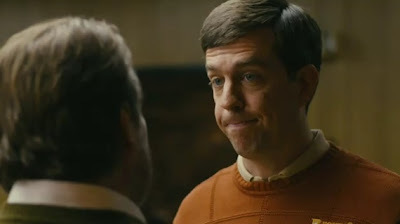 Cedar Rapids revolves around a naive insurance salesman, played by Ed Helms with that social awkwardness he seems to specialize in, who has never left his hometown. He is currently in a relationship with one of his grade school teachers (Sigourney Weaver) and actually thinks there's a future there. When his company's top agent dies in a strange accident, he must report to the annual Midwestern insurance convention where he holds the responsibility of maintaining the company's two diamond status. While there, employing the fish-out-of-water plot, he will meet three fellow salespeople (John C. Reilly, Anne Heche, and Isiah Whitlock, Jr.) who show him a good time and help him to come out of his shell. Cedar Rapids is a raunchy comedy which benefits from Reilly's performance as a crude womanizer and Heche as a woman who has a fling with Helms. There are genuine laughs here and the earnestness of the main character and underlying sweetness of the film help to make this one a winner. I should issue a disclaimer before I start reviewing this film by saying that I am a huge Paul Simon fan and probably am not capable of writing an objective review here. I pretty much had my mind made up that I would like it going into it. The movie begins with the track Late In The Evening playing over a visual interpretation of the song. To add to the already heightened excitement, we then cut to Paul and his band getting off of a plane in Cleveland (there's nothing that gets me more giddy while watching a flick than seeing my hometown up on screen)! They then proceed to perform two great songs at the once revered Agora (I read these tracks were used on the album and actually recorded here). Then backstage, as the cocktail waitress tries to collect on the bill, we glimpse a WMMS bumper sticker, and the following morning Paul leaves her apartment and we get a fine glimpse of our fair city's skyline from an industrial neighborhood. The movie then proceeds into a story where Simon's character is trying to juggle saving his failing marriage, keeping his band together, and making a record that will both satisfy the record companies as well as his own artistic sensibilities. The plot was purportedly based on Simon's life at the time. As far as the movie goes, the direction was fine, the screenplay could have used some tinkering, and Simon's performance was adequate. What carries the film, is the soundtrack of his songs, both live and in studio, which demonstrate what a creative and unique musical talent he really is.